Why does our government continue to coddle Islam? Two car bombs in the southern Iraqi city of Samawah on Sunday killed 31 people and wounded dozens, the latest in a series of large attacks claimed by the Islamic State group as the country grapples with a worsening political crisis. The attacks came the day after thousands of anti-government protesters poured into Baghdad’s heavily guarded Green Zone and stormed parliament, the culmination of months of protests by followers of an influential Shiite cleric demanding wide-ranging political reforms. 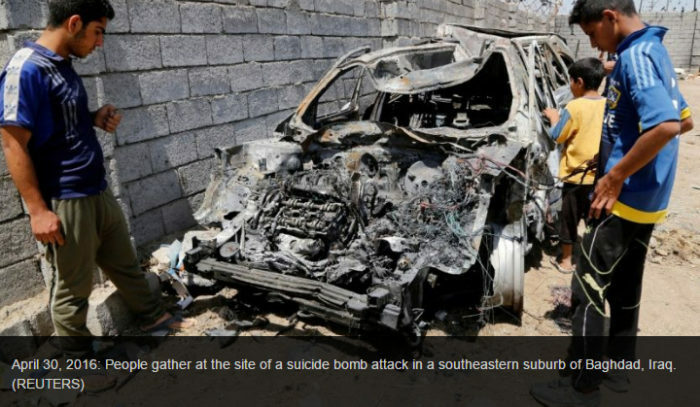 A police officer said two parked cars filled with explosives were detonated within minutes of each other around midday in Samawah, the first near government offices and the second at an open-air bus station less than a mile away.